So what exactly is a Bargello Quilt? By definition, a bargello quilt is one that is made of strips of fabric sewn together. Although beginning quilters find that it is very easy to create a bargello quilt, advanced quilters are also challenged since sewing the striped pieces requires attention to detail. Although there are many curves featured on some bargello quilts, there is no curved piecing. History shows that bargello was first used in needlepoint designs as far back as the 16th century. In the 1960’s, knitters began to use the designs in afgans. Eventually, it has been adapted as a quilting technique. 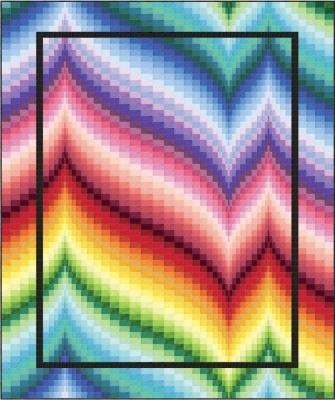 The availability of using fabrics with textures and prints allows quilters many possibilities for designing unique bargello quilts. Although bargello quilts look incredibly complicated, their unique construction makes them surprisingly easy to make. In bargello quilting, strips are cut at a specific width and sewn together. They are sewn into a strip of tubes with the seam allowances facing out. The tube is then cut into the necessary widths and opened with a seam ripper at the specified seams. 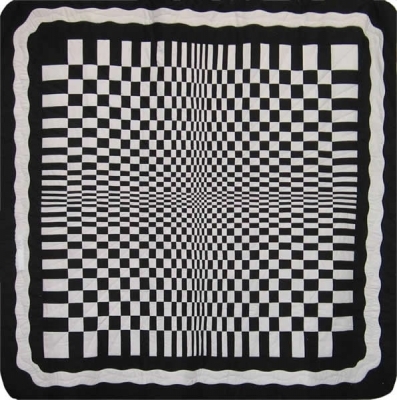 In the Black and White Optical Illusion Quilt Pattern shown above, the quilt is actually composed of four large blocks. Squares of fabric are cut into strips, rejoined, re-cut, and joined again to create the four blocks with alternating colors. It’s not difficult, but attention to detail is necessary. 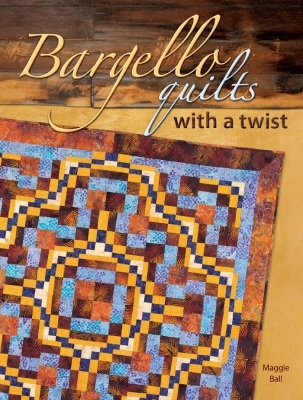 In Maggie Ball’s book, Bargello Quilts with a Twist, the author presents an innovative alternative to traditional Bargello quilting. Maggie’s versatile 16-piece bargello block, constructed from only four sets of four strips, is quick and easy to piece. From there, you are able to manipulate the block to create an enormous variety of designs with flowing lines and interesting secondary patterns. Since color selection is so important when creating bargello quilts, Maggie gives advice on fabric selection, with special tips on color, value and scale. Have you tried bargello quilting? I would love to hear about your experiences! 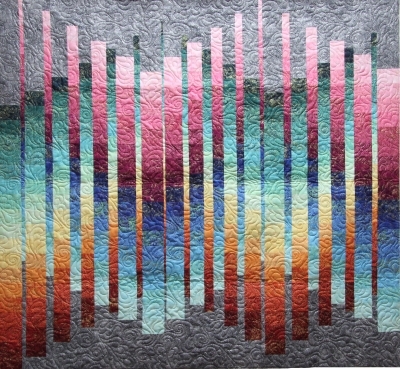 This entry was posted in Books, Designers, patterns, QuiltWoman, Techniques and tagged Bargello Quilts, Maggie Ball, QuiltWoman.com, Shimmering Strata, Toscana Twist. Bookmark the permalink.